I have the program in front of me today, glancing at it on occasion as I continue to process the evening. 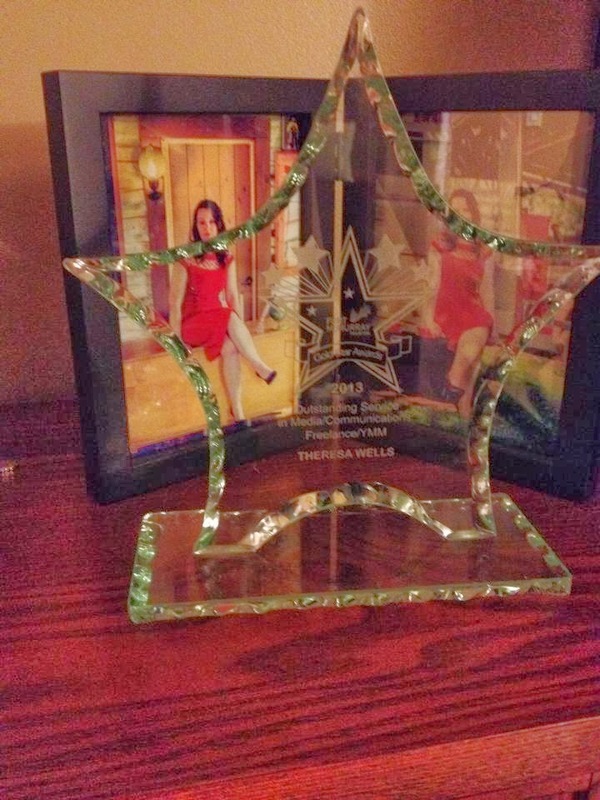 I was incredibly surprised when I received the email a few weeks ago from Fort McMurray Tourism, telling me that I was a finalist for the annual Gold Star Awards, an honour that recognizes those who provide outstanding service in various fields and endeavours. It seems such a cliché to say it is an honour to have been nominated, but that is truly how I felt, and still how I feel today. There were many other nominees last night, in my category and in others, and each and every one deserves recognition because they are strong enough in what they do to have been acknowledged through the nomination process. I would venture to say that not one of them does what they do to get awards, but rather do what they do because they are committed to excellence. It was truly an honour to simply be in the same room as them, as these are the people who enrich our lives daily through remarkable customer service experiences. Often in this community we decry poor customer service, and so it is refreshing to be in a room where the best of the best are being recognized. 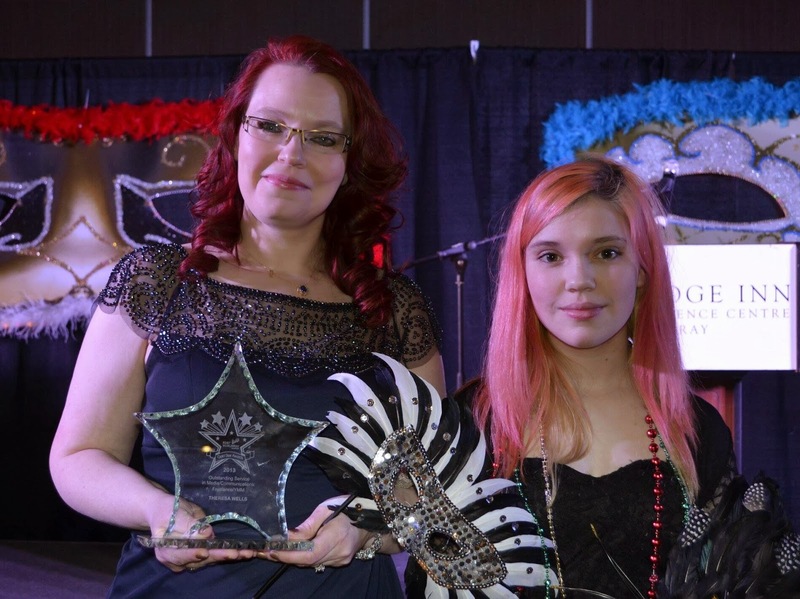 Ten years ago Fort McMurray Tourism decided there was a need to acknowledge those who achieve such excellence, and so the Gold Star Awards were founded. I want to be clear here, too. I don't believe what I do is exceptional, especially compared to the others honoured last night, and those who have touched my life in recent weeks. From the tow truck driver who boosted my car and restored my calm in the face of what I felt was a crisis (his advice? Stop crying over a dead battery) to a dealership service agent who commiserated over the challenges of the early days of single parenthood, I have found those who not only provide wonderful customer service but who do it with a personal touch. In comparison what I do seems far too easy, posts and articles written from a comfy chair while others do all the actual heavy lifting. Last night, however, I was incredibly honoured when it was my name that was called and I walked to the stage. I was in a bit of a state of shock, I suppose, because my journey over the last three years has seen mountains that seemed like Everest and valleys that seemed like the depths of the oceans. All I did was keep going, up the mountains (that were really just hills) and into the valleys (which were really just dips in the road). In the end the path took me to a ballroom at the Sawridge Inn and Conference Centre, in the company of fellow nominees (including those in my category, Jerry Neville who has become a dear friend and someone I credit with some degree of my success, and Tracey Morine, who is as fiercely passionate about what she does as I am). I also had the good fortune to be in the company of many friends, and, most importantly, the Intrepid Junior Blogger who came along for the evening and was there to see me take the stage. When I took the stage as my name was called as the winner of the Gold Star Award for Outstanding Media/Communications I was shaky, but I was ready. Watching the others go up and accept their awards had made me realize that most were giving brief acceptance speeches, which was not something I had prepared. But I knew what was in my heart, and so I said: "Thank you. While it is an honour to be recognized it is even more of an honour to do what I love in the place and community I love, so thank you". And I meant every single word, too. Few would have caught the tears creeping into my voice, but the IJB did, and she commented on it as we made our way out to the car when it was over. At 14 she can be a bit cagey with her thoughts, and after my name was called she did not tell me she was proud of me - but on the car ride home she sat with my award clutched tight to her chest, keeping it safe and close to her, and the unspoken message was clear. She didn't need to express her pride, you see. And I am proud too, but not so much about what I have done in these last three years. I find some pride in it, of course, but I think I find the most pride in the things I have been able to do for others. I have shared their stories, and I have covered local events. I have connected with so many people from so many different places, and I have been incredibly honoured that they have chosen to share their stories with me. It has allowed me to grow as a person and as a writer, and I am so grateful to everyone who has ever given me a chance to write about them or for them, and to practice my craft. But more than anything I am grateful to my readers, whether of this blog or my weekly column. If I have achieved anything it is because of them - and you, who are reading this right now. Last night was a remarkable night in my life to be sure - but it is truly the journey over the last three years that has been remarkable, a journey that I never expected or anticipated I would take. I suppose all I can say is that I am deeply grateful that you chose to come along for the journey - and I always have been, with or without an award. Congratulations, Theresa! I can say with full confidence that you deserve it. You are such a credit to Fort McMurray. Thank you for all you do for the community.